Lodz, Poland cemetery on All Saints Day. Lodz, Poland cemetery on All Saints Day. 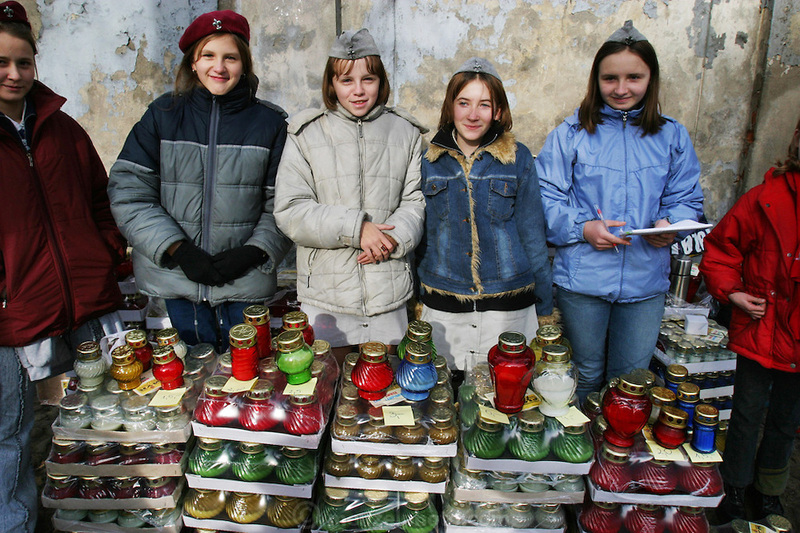 Girl Scouts selling candles.